If you have a WordPress blog, then you’ve probably already discovered just how user friendly WordPress is. In fact, it comes as little surprise that since its initial release in 2003, WordPress has grown to be the most popular blogging and content management system in the world. Today there are more than 74.6 million WordPress sites, and this number is growing by the day. One of the great things about WordPress is the ease with which you can change the look and feel of a site simply by changing the theme, and when you change the theme of a WordPress site you don’t have to worry about your content being affected. WordPress requires one theme to be present at all times, but you can change the theme any time you want, and as often as you want. 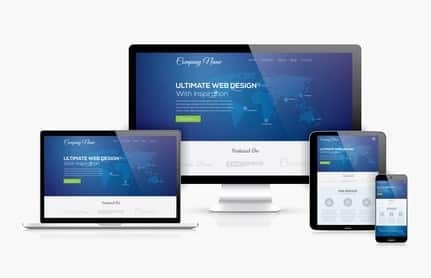 Every website owner wants their site or sites to look both attractive and professional, and themes put both of these goals within easy reach. Another key element for success of WordPress has been the “plugin architecture” around which it has been created. Today there are roughly 30,000 available plugins which can be used to further enhance your WordPress experience. For example, one of the plugins mentioned in this review give you the opportunity to make sure all your WordPress sites are mobile friendly. If you intend making money from your site, this is a feature you simply cannot afford to be without. Anyway, rather than wasting any more words, let’s get on with the review. Elegant Themes offers premium themes and plugins which have been designed and created specifically for WordPress sites. Founded six years ago by Nick Roach, the company has provided themes and plugins to more than a quarter of a million customers. According to their website, all of their 87 themes have been created around two core values: beauty and simplicity. As a customer, I can confirm that their themes are indeed very beautiful. I also very much like their “simplicity” approach because it leaves you with professional looking themes that are clean; crisp, uncluttered and, above all, efficient and fast. Using these themes, virtually anyone can have a remarkable looking WordPress blog up and running in almost no time at all, regardless of their skill level. All the themes will put you in full control of virtually every aspect of your site. Changing the look and feel of your site requires just a few mouse clicks, and I can assure you, it doesn’t get any easier than this. While all 87 themes are amazing, their Divi theme is without a doubt the most talked about, and many website developers see it as being the company’s flagship theme. It is incredibly flexible and versatile. In fact, in my opinion, it is THE best premium theme that I have ever worked with. The company also offers a number of plugins which are automatically included in your membership (Developer and Lifetime Access). While they don’t have very many plugins, those which they do have are very useful, and they work seamlessly with the themes. No coding skills required – This will probably be the most notable benefit for most people, given the fact that not many people have experience at writing code. Unbelievably cheap – I say this because you get full access to 87 different themes for the same price some companies charge for a single theme. Designed specifically for WordPress by WordPress experts – The people who have created these themes are clearly experts in their field, and the fact that the themes are specifically for WordPress means you never have to worry about bugs and/or glitches. Good customer service – I’ve personally never needed any help, but from the many reviews I’ve read, their customer service seems to be very efficient and very helpful. Absolutely no coding skills required – It doesn’t matter if you have never written a single line of code in your life, you can still instantly transform a mediocre site into a professional looking masterpiece with just a few mouse clicks. Great even for coders – Even if you can write code, why would you want to if you don’t really have to? Writing code takes up a considerable amount of time, and if you are serious about making money online, then that time could be put to better use elsewhere. 87 Themes to choose from – With such a variety to choose from, you will almost certainly find a few themes which are perfect for your targeted niche. Good plugin selection – While the site only offers half a dozen plugins, they are essentially all you need. Even if they don’t have the plugin you are looking for, the internet is full of sites that allow you to download plugins. In fact, there are currently around 30,000 plugins available, most of which are of no use to the average website owner. 3 convenient membership options – The Company offers two “yearly” membership options as well as a Lifetime Membership option. I manage an SEO consultancy, and because we routinely build WordPress sites for customers, I opted for the Membership with Lifetime Access, but all three memberships offer excellent value for money. Good customer service – Customer service is provided via email support only, but the Company does have a very active “members only” forum which also functions as customer support. Members are generally advised to read through the FAQ section if they run into problems, and if they don’t find a solution to their problem, they are encouraged to visit the forum where help is always on hand. Alternatively, they can get help from customer support via email. No Risk – The Company offers a “30 Day” money back guarantee. If you are not 100% happy with your membership, you can request a full refund. Cannot purchase individual themes – Customers cannot purchase specific themes only. Instead, you need to sign up for a subscription which then gives you access to all 87 themes. Learning Curve for Divi theme – Even though I have found Divi theme to be the best I have used so far, it does have a learning curve. But, with lot of helpful videos available to explain the different aspects of the theme, learning curve for me was just a couple of days. No “Live Chat” and no phone support – As I have already mentioned, I have personally never required any assistance when using the themes and plugins from this site, but I would feel a bit more comfortable if I knew I could call customer service and speak to a real person, should I ever encounter any issues. Personal – $69.00 per year and you get unrestricted access to all 87 themes. This membership option does not include access to the collection of plugins. Developer – $89.00 per year and includes full access to all themes and plugins. Lifetime Access – $249 one time for Full access to all site features for life. Site membership is available internationally, but it should be noted that all customer service email communications are in English only. This could potentially be a problem for people who are not fluent in English. However, the site does have a very active forum where you could probably get assistance from other members who speak the same language as you do. I have a Lifetime Membership with this site and I have been extremely happy with the themes and plugins. In fact, the Divi theme which I have mentioned in this review is one of the very best themes I have ever worked with, particularly in terms of versatility and appearance. On 17-Dec-2015, they have released “Extra” Magazine theme. This theme is also based on Divi Builder technology. I have started converting my Reviewz Rock site, which is using Divi theme, to Extra Magazine theme. I was amazed with Divi when I started using it. But, this Extra magazine theme which is tailor made for a magazine style website is even more amazing with its features and functionalities. Apart from my own personal websites, I also own and manage an SEO consultancy, and we are often called upon to create and optimize WordPress sites. To this end, the themes package featured in this review has proven to be invaluable. Based on my personal experience with this Company and their products, I would have no hesitation in recommending a membership subscription for the entire collection of themes and plugins from Elegant Themes.